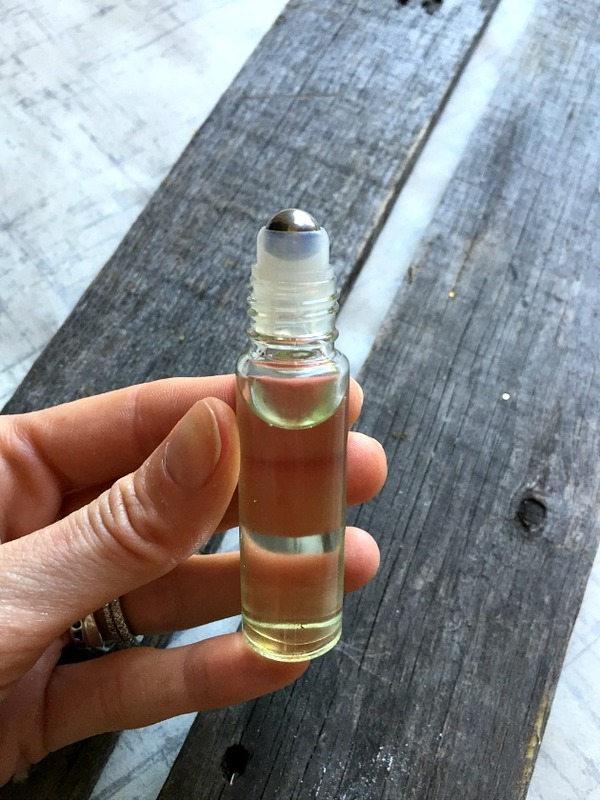 Nourishing DIY Cuticle Oil is so simple to make and wonderful to have around. You can store it in a roll on bottle for easy application and it smells wonderful. The oils used to make this cuticle oil recipe are natural, nourishing and will soothe dry cuticle skin. It’s small enough to pop into your purse or bag and is definitely little enough to keep in your pocket if you’d prefer. Use this Nourishing DIY Cuticle Oil anytime of the day. For the best results, apply before bedtime and let your cuticles soak in the moisturizing oils over night! This gentle formula is perfect for the kids too. 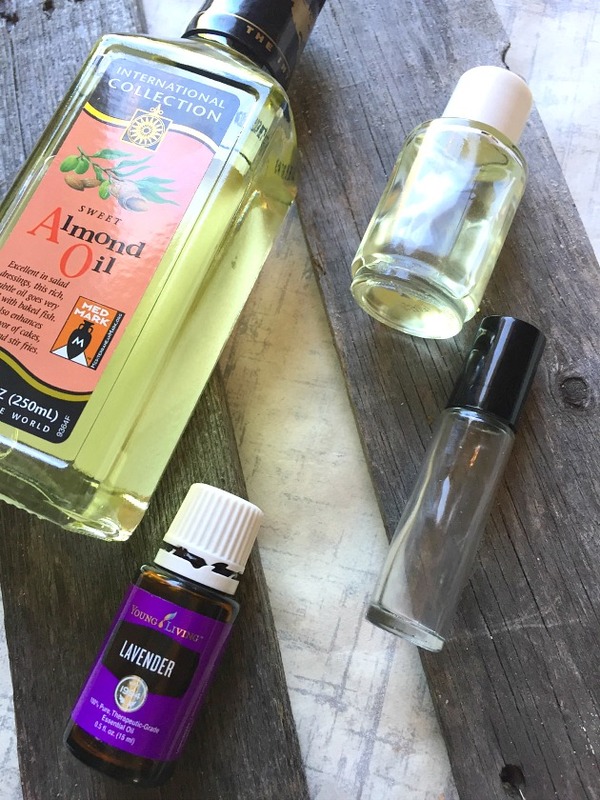 Pop the rollerball top off of your bottle and pour one and a half teaspoons of Sweet Almond oil in. I like to use organic almond oil when I can. Next pour one and a half teaspoons of Vitamin E oil in. Finally add 10-12 drops of Lavender essential oil in and pop your roller back on your bottle. Give a quick shake and you are ready to roll on. Simply roll over cuticles one at a time. Go back and rub in oil on and around cuticles. Use daily or when needed. This oil is great for men and women alike. The gentle all natural formula is perfect for kids as well. It will soften your cuticles so they don’t split and allow you to push them back so they don’t overgrow your nails. 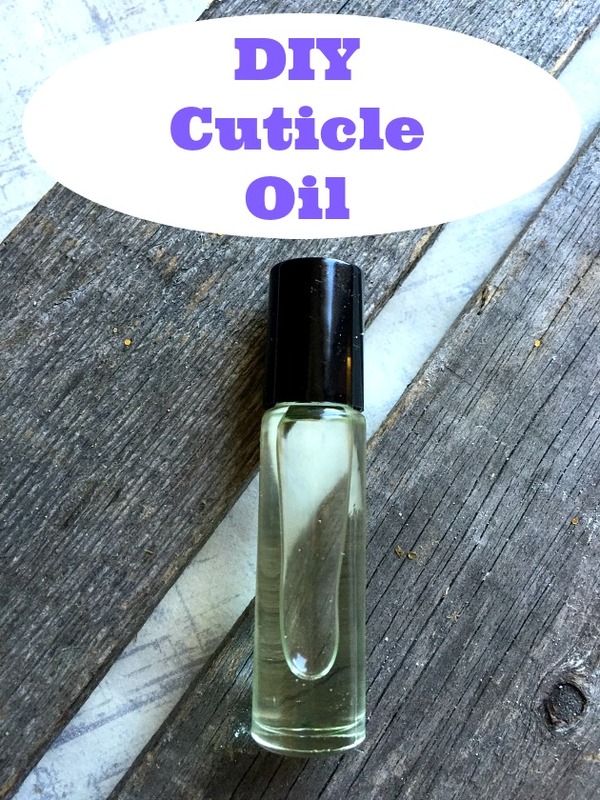 Have you ever made your own diy cuticle oil? Try this simple cuticle oil recipe. It takes about 90 seconds and is the perfect recipe to keep cuticles nourished and looking great. *Where to find the oils mentioned above: You can find Sweet Almond oil on the baking aisle at all major grocery stores. Can be found at Walmart and Target as well. Vitamin E oil is found on the soap aisle at major grocery stores. Order your YL Lavender essential oil from a Young Living Distributor. I was just talking to someone about oils this week. I would really like this because I love the smell of lavender. My boys do so much yard work and playing outside that their hands and cuticles are in dire need of some attention. I’m going to whip some of this up and make a vial for each of them. I really must get some almond oil, it’s good for so many things! My cuticles always get so dry, I’m sure this would help. I have never tried the making a cuticle oil before but from what I read, it seems that it’s very effective for the skin and can certainly give you a perfect glow. Thanks for sharing what it is all about and for explaining how it is done.